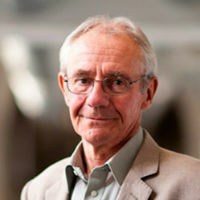 Steve Stanton is Professor Emeritus of Music and Performing Arts at City, University of London, having retired from full-time academic life in October 2016. He holds a National Teaching Fellowship of the Higher Education Academy (2012) as well as Honorary Fellowships of the Guildhall School of Music & Drama (2012) and of Trinity Laban Conservatoire of Music and Dance (2015). Steve studied at the University of York where, following undergraduate study, he completed a DPhil in Composition. He joined City in 1977 where he developed the undergraduate programme from its inception before stepping down as Programme Director in 2009. In 2000, he was appointed to a senior academic leadership position within City as Dean of Validation. Within this role, he led the development of the university’s validation portfolio including partnerships with world-leading conservatoires, with Nordoff-Robbins Music Therapy Centre and Arts Educational Schools London, and contributed to the development of innovative taught and research programmes. Beyond the conservatoire sector, in 2008, he facilitated the ground-breaking relationship with Hansard, House of Commons, through the validation of its PG Diploma in Parliamentary Reporting. Steve's academic focus lies primarily in ethnomusicology with special interests in Oriental music, African-American music, European folk musics, oral traditions and popular music idioms. He is also engaged in interdisciplinary studies in 20th century music-theatre and the performing arts. He received City’s Student Voice Awards in 2009 and 2010 and City's Teaching Excellence Award in 2013 for the impact of his inspirational teaching. Japanese and Oriental music, African-American music, Eastern European folk music, ethnochoreology, intercultural music, music theatre, composition.